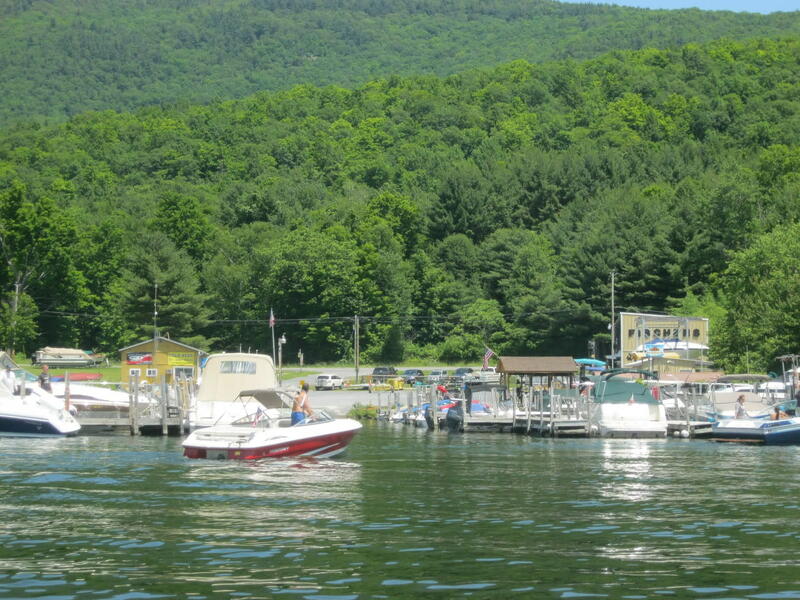 Private launch, parking, gas, boat rental; motor boat, pontoon, complete service, emergency towing, dock space rental, pump-out station. Lake George Park Commission registration decal. Winter storage, grocery. 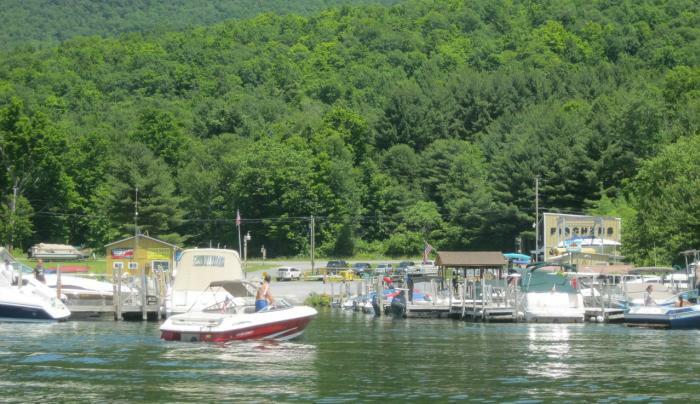 On Lake George.